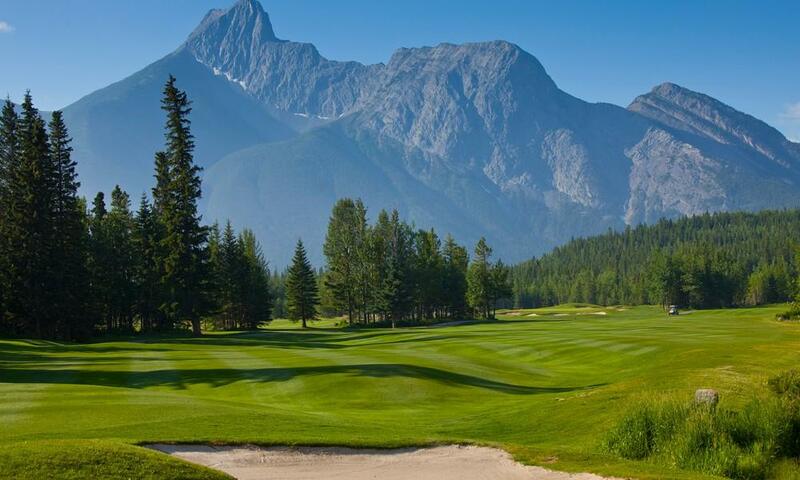 The spectacular 3rd hole on the Mt. Kidd course with the wedge and fisher mountain in the background. 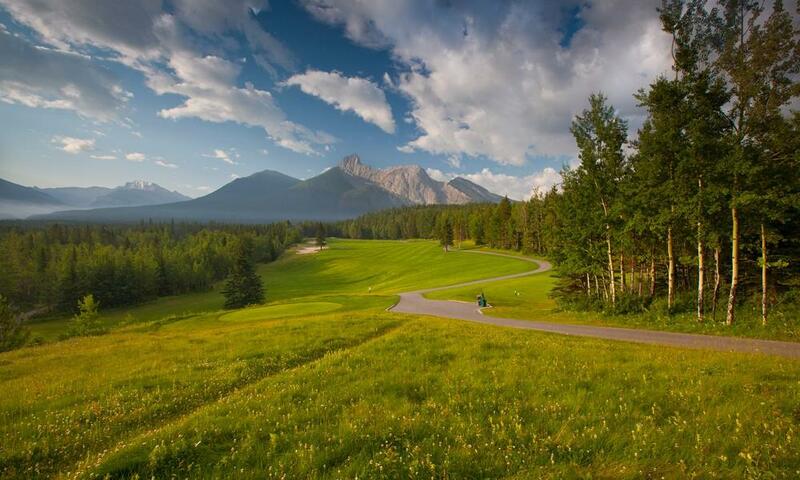 Easily the most photographed hole at Kananaskis country! #4 on the Mt. 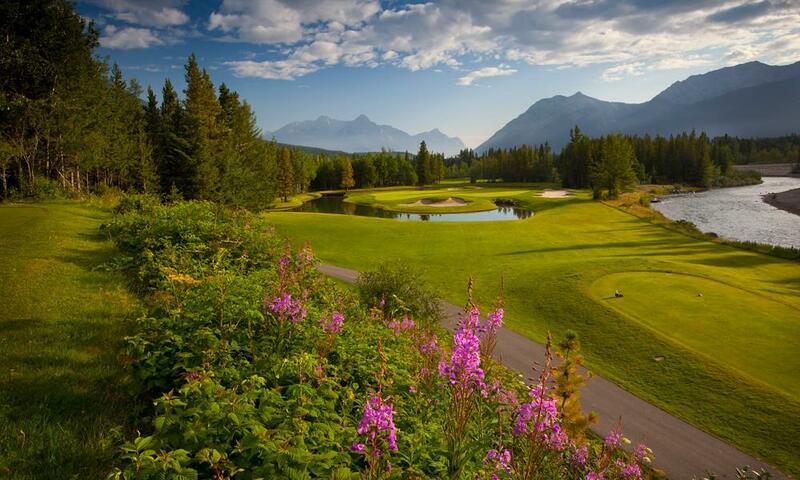 Kidd course is simply breathtaking!. 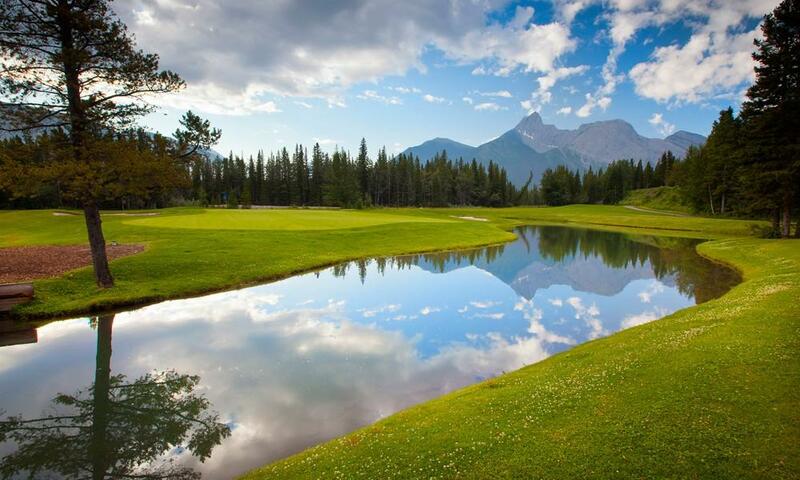 Beautiful reflections found on the water surrounding the 4th hole on the Mt. 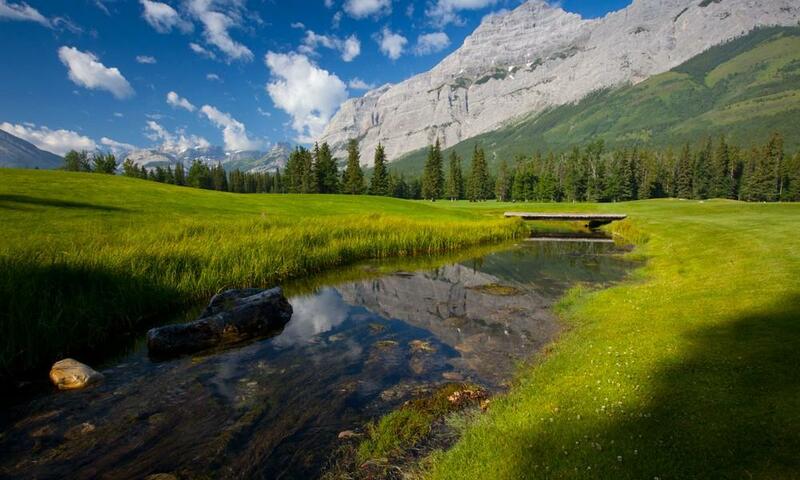 Kidd golf course. 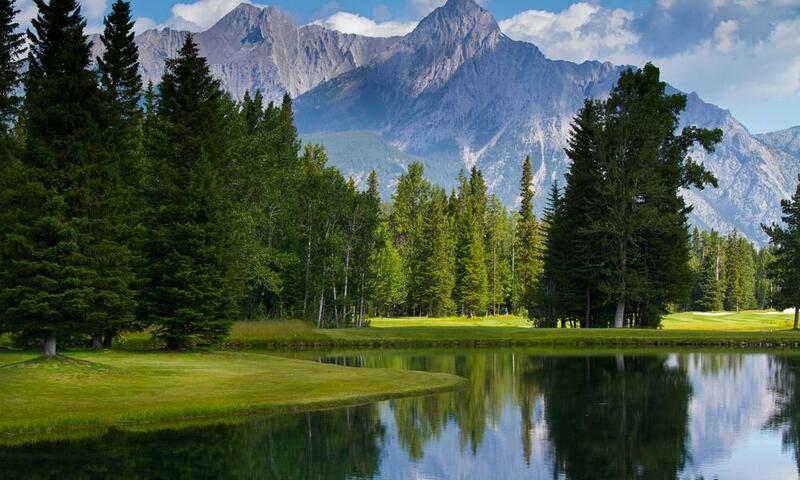 The wedge serves as a perfect backdrop for this photo taken on the par 5 sixth hole on the Mt. Kidd golf course. Winding creek passes under the bridge that takes golfers to the final green on the 18th hole of Mt. Lorette. Mt. 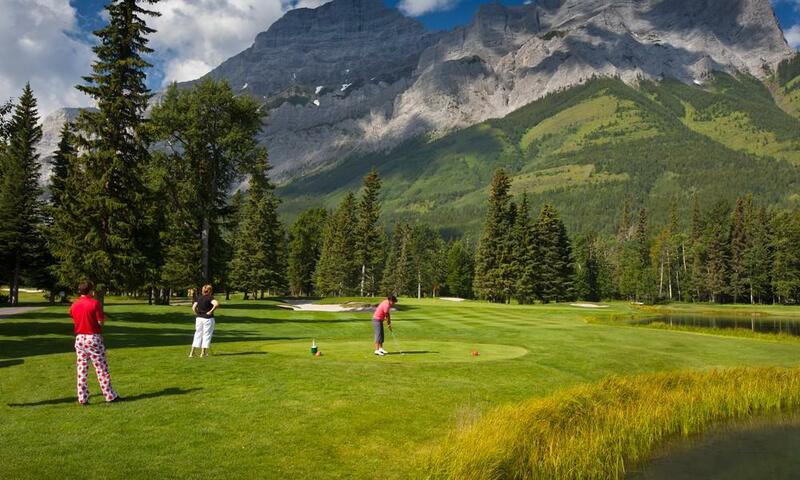 Kidd serves as a beautiful backdrop for this pristine par 3 on the 6th hole of Mt.Lorette. A look at the Mt. Kidd golf course from the observation area. A look at Mt. Lorette in the background reflected beatifully in the ornamental pond on #1 Lorette. 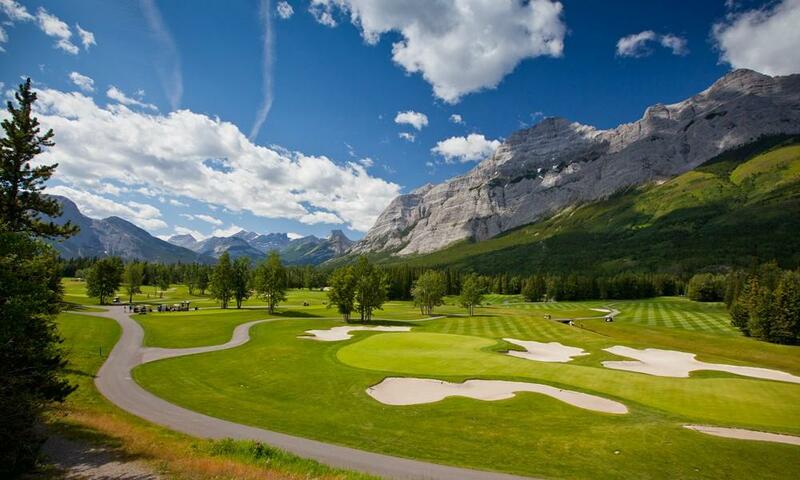 Photo of the double green at Kananaskis Country GC with Mt. Kidd in the backdrop.